March. Now here’s a green month if I ever saw one. Of course there is March Madness where I typically loose around 50 green backs in the office pool. St. Patrick’s Day is good for several pints of my favorite green lager. And let’s not forget that Dr. Seuss was born in the month of March. What’s green about that? Hello, Green Eggs and Ham! One other thing is that Uranus was discovered in March. No there’s nothing green about that. I just wanted to type Uranus (insert your own crude joke here). That’s right, our deli line is now endorsed by the GRA! If you know the GRA you’ll know they only endorse products that meet there very strict standards and guidelines. 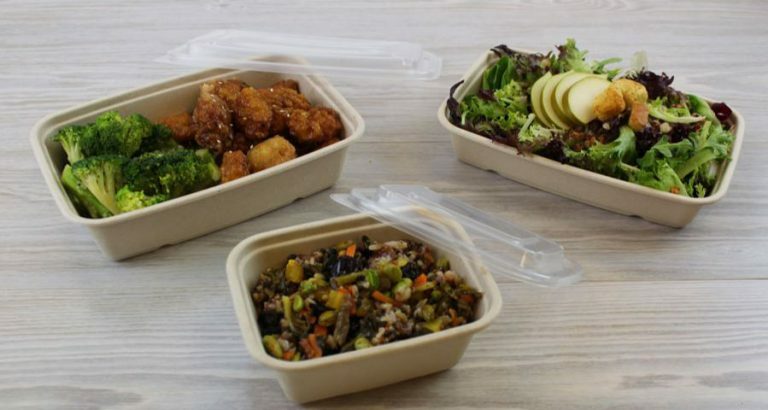 Restaurants and food service operator can earn up to two points from the GRA by utilizing our Hinged Deli Containers. This will get them two points closer to becoming a Certified Green Restaurant. Also, I’m happy to report that our Clear Hinged Deli food containers are the only clear hinged products that currently carry their endorsement. Heard enough? If not, just shoot us a note and ask for some samples so you may give it your own test. I’m confident you’ll like what you see. Why buy products made from PCR? The Federal Trade Commission defines recycled content materials as those that have been recovered or diverted from the solid waste stream. Recycled content can be broken into two categories. Post consumer and pre-consumer, which may also be referred to as post industrial. 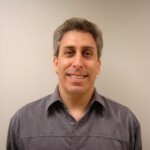 Post consumer content, as its name implies, are materials that have been used by consumers. Examples are clear plastic water and soda bottles made from P.E.T. that carry the #1 recycle symbol. Post industrial is scrap that is generated during the normal manufacturing process that is recycled back into its raw material state and used again. At Genpak, we began producing our clear Hinged Deli products using post consumer recycled (PCR) content back in early 2007. Since then we have expanded that program to include all of our clear APET products. For our part, just in 2009 we used nearly 14 million pounds of post consumer resin for our APET products. To put that into perspective, it is the equivalent of diverting nearly 280 million water bottles from landfills! Breaking it down even further to a customer level, you can say that for every 200 cases of our very popular AD16 purchased, you have helped us divert 17,600 bottles that were destined for a landfill. Not only are our Deli containers made with up to 50% post consumer recycled content, but they are also still #1 recyclable! It’s a win-win. For more information or to request samples just drop us a line and we’ll get you everything you need to know. 1. 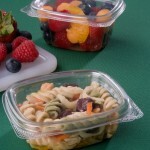 Genpak AD Deli containers can be used for almost any application. I once had the maintenance department of a nursing home use our deli containers to store screws, nails and drill bits. We’ve also had businesses use them for plastic worms used for fishing lures. 2. I have a Cuban bakery using our AD04 & AD06 deli containers for single serve size flan (creme caramel) desserts. 3. Another use for our 21100 hot dog container is that it can be used with ice cream for banana splits.